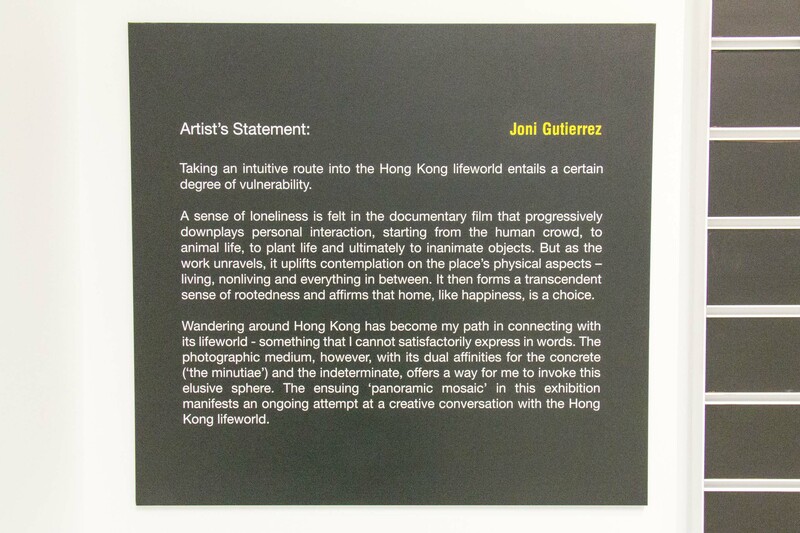 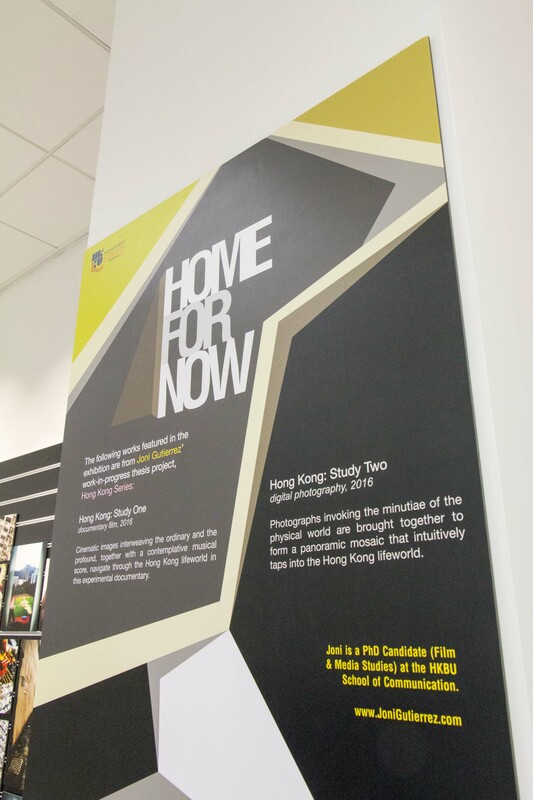 Joni is a PhD Candidate (Film & Media Studies) at the HKBU School of Communication. 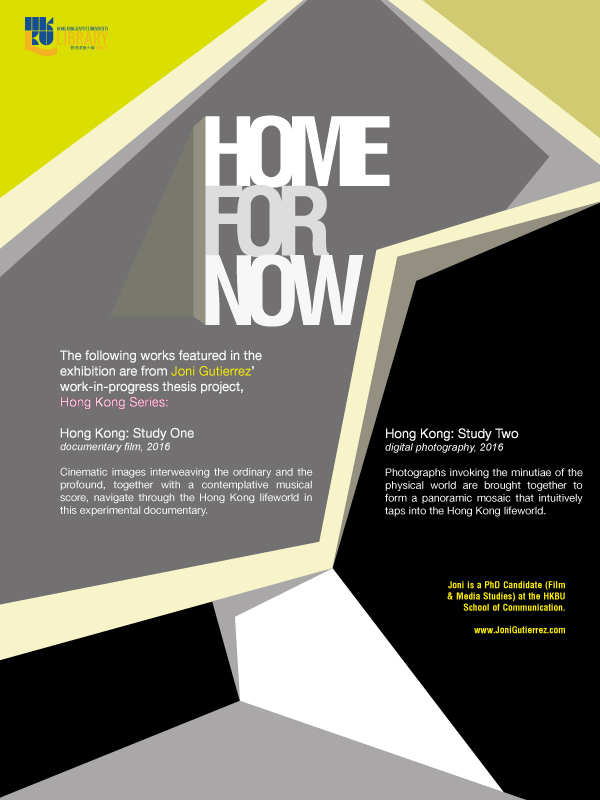 In this project, Joni’s Hong Kong lifeworld resists terminality. 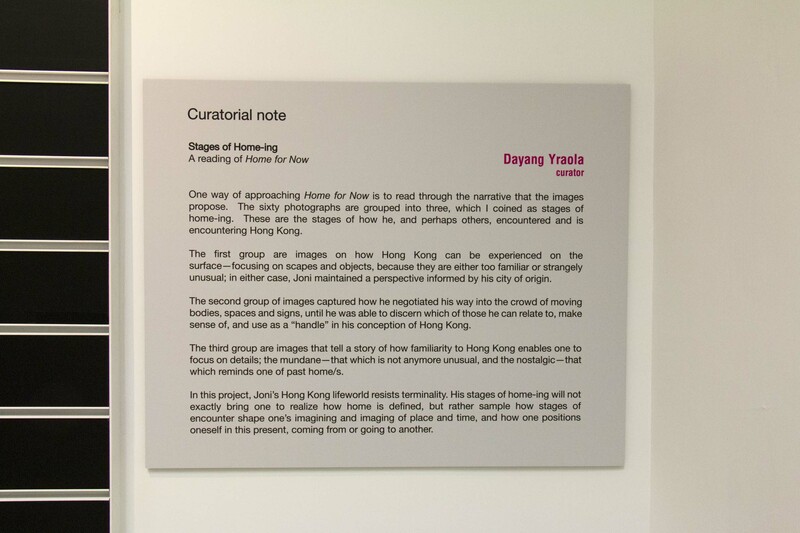 His stages of home-ing will not exactly bring one to realize how home is defined, but rather sample how stages of encounter shape one’s imagining and imaging of place and time, and how one positions oneself in this present, coming from or going to another. 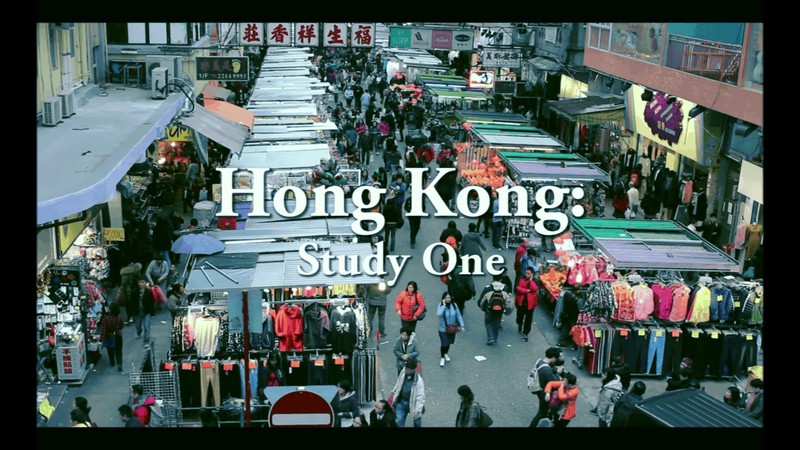 Cinematic images interweaving the ordinary and the profound, together with a contemplative musical score, navigate through the Hong Kong lifeworld in this experimental documentary. 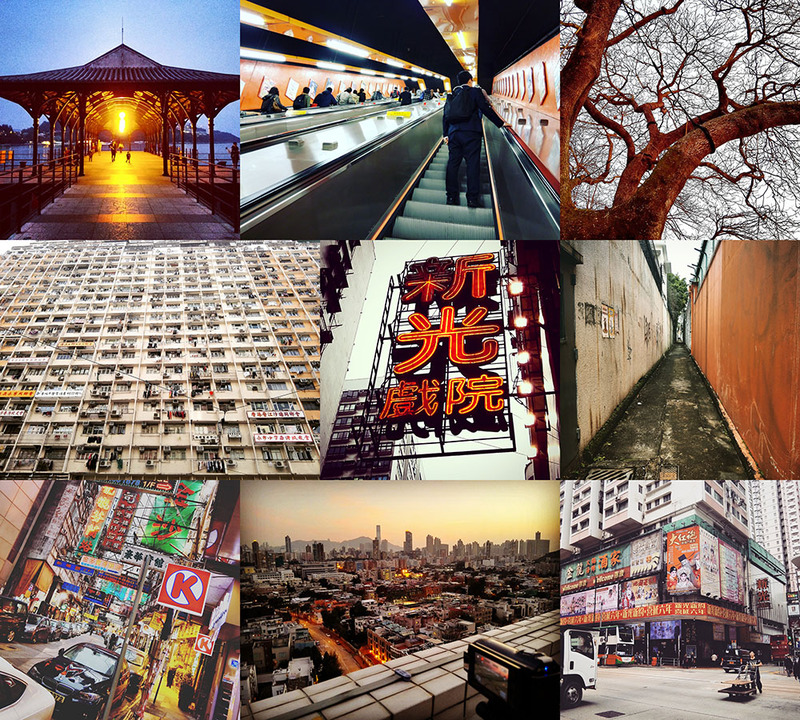 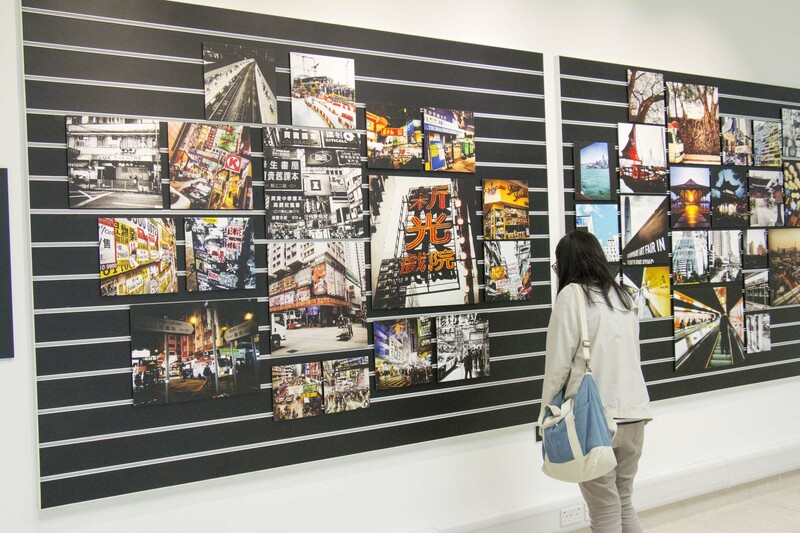 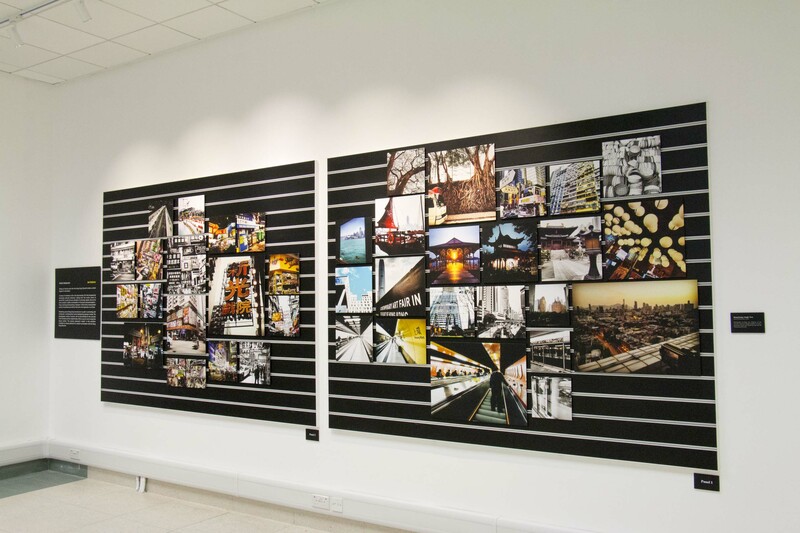 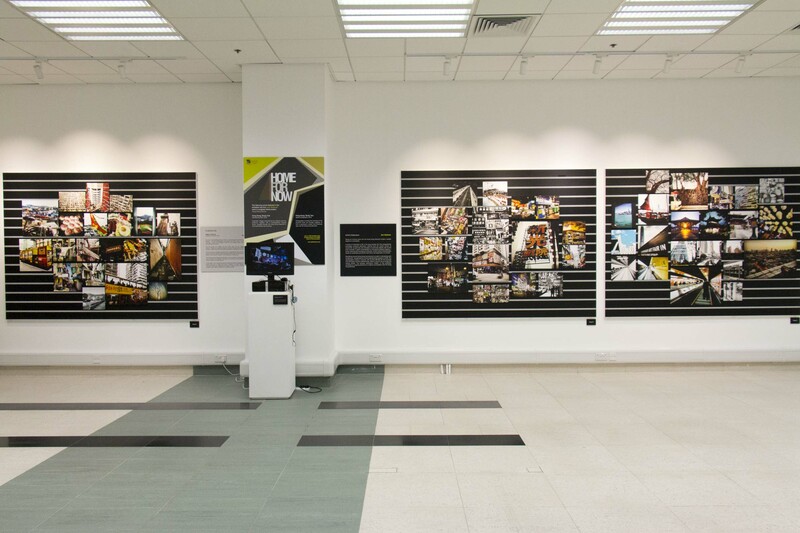 Photographs invoking the minutiae of the physical world are brought together to form a panoramic mosaic that intuitively taps into the Hong Kong lifeworld.